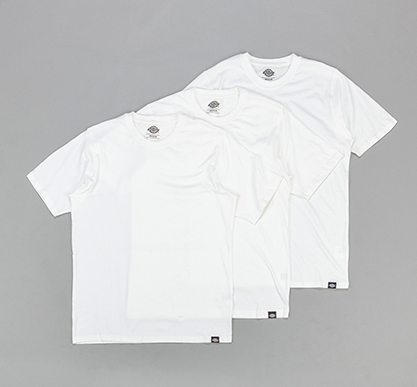 Pack of 3 great, 100% cotton, crew neck t-shirts from Dickies in White. 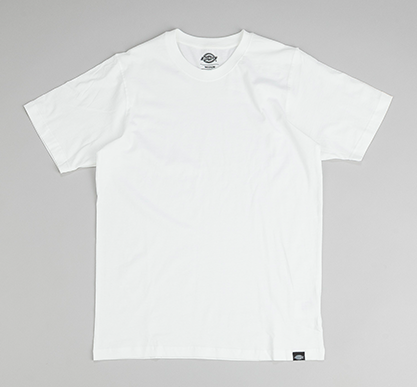 Made from a comfortable 100% cotton jersey material. Taped neck seam for comfort and tailoring. Finished with Dickies woven clamp label at the hem.